Cross-posting between Stack Exchange sites is disapproved as we can see in Is cross-posting a question on multiple Stack Exchange sites permitted if the question is on-topic for each site? But with the arrival of localized Stack Overflow sites (Portuguese is online and there are much more to come), how should we deal with this here at the Big SO Brother? At SOPT, it's being encouraged: "Q: Where do I ask? A: Ask in both!. Personally, I agree, as it'll be much harder for someone to speak Portuguese here than English there. I'm advocating (through comments, no Meta yet) that people disclose that they are cross-posting here when they duplicate the question there. And I'd like feedback about: should it be disclosed here that there's a duplicate question over there? Cross-posts between localized versions aim to reach different demographics in parallel, effectively evading the main concern: content replication by overlapping. That said, the fact that the question is being asked in two (or possibly more) localized versions is irrelevant to those who only attend one of them. IMHO the disclosure is well-intended, but not necessary. The whole reason cross posting is discouraged is it splits answers and comments between communities, however, the guideline was established when you had 2 sites with different but overlapping scopes, not 2 sites with identical scopes merely differing in the accepted language of the site. Personally, I still don't think cross posting is the best option. Assuming you speak both languages well enough to translate, I think you should pick the site that think would give you the best answer, and ask it there. If the question is really a good question and gets several good answers, then repost it in the other site. You can self answer with 1 or more of the good answers you already got, translated into the other language (preferably as CW and attributed to the original poster). Then if either question gets additional good answers, you can add them in the future in the same manner. I think it will require some maintenance on your part, but I think it would be helpful to avoid problems of good questions being unavailable to users who don't speak the appropriate language. I don't want to endorse cross posting until the asker is sure the question is valuable. If someone cross posts a bad question on both sites, then you are forcing 2 different communities to clean up the same question. At least by testing it on 1 site, you give the community a chance to accept it, clean it up, and upvote it. So don't cross post for the sake of cross posting. If you think the question (and answers) are valuable to the general community, then it is ok to cross post it, but don't make 2 different communities clean up a crap post. Considering that any time you have a legitimate reason for reasking an existing question, you should link to whatever prior information you know about, it seems a no-brainer that cross-language duplicates posted by the same author should link to each other. It's of direct benefit to all people who can read both languages, and eventually to everyone visiting either question, as the bilingual users carry knowledge across. Knowing that there's a related discussion going on and hiding it from the people you hope will answer your question may not be an outright deletion offense, but it definitely goes against netiquette. Not the answer you're looking for? 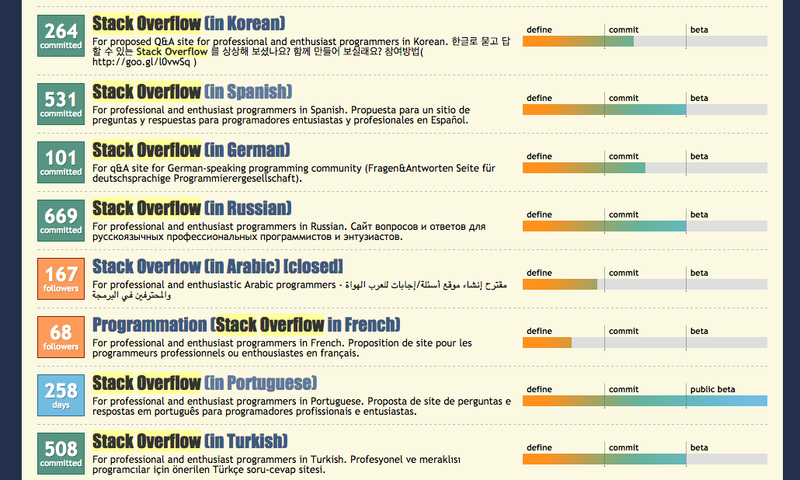 Browse other questions tagged discussion languages cross-posting portuguese-stack-overflow .